1. Strictly based on the latest CBSE curriculum. 2. Chapterwise/Topicwise introduction to enable quick revision. 3. Know the Terms/Facts/Formulae/Links to aid in-depth study. 4. Flowcharts for concepts clarifications. 5. 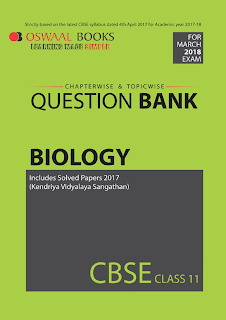 Includes Solved Paper 2017 (Kendriya Vidyalaya Sangathan). 6. Questions from Kendriya Vidyalaya Sangathan (KVS) Delhi, Directorate of Education (DDE) and National Capital Territory (NCT) with complete solutions. 7. Includes ‘HOTS’ and Value based questions. 8. Answers strictly as per CBSE Marking Scheme.